Dandruff and hair fall are two most common dermatological problems faced by today`s youth. Well, did I say youth? Let me correct myself; dandruff and hair fall are two most common problems for people belonging to all age groups. Now that’s correct! Dandruff shampoos are effective for encountering the problems to some extent. However, when you have to acquire a permanent solution for the problem, you have to try something different. Natural raw oils for dandruff and hair fall do work exceptionally well. However, you cannot expect them to cure the problems overnight. Besides, applying the natural hair oil for problem solving, you can also initiate some dietary regulations to get the best results. Using Natural raw oils for dandruff and hair fall is amongst the best options you can initiate. Raw oils not only help to beat dandruff and hair fall issue but also result in better hair growth and a nourished scalp. 10 Best baby shampoos for adults – No more tears for grown ups! We all know that tea tree oil is flooded with antibacterial and anti-microbial properties. It soothes the scalp and brings a cooling sensation when applied. You can mix some tea tree oil with jojoba and coconut opal together to get safer results. Natural raw oils for dandruff and hair fall work best when you keep them for several hours. Castor oil is highly recommended by most of the dermatologists for treating hair problems. It helps in better blood circulation and faster hair growth. You can get it from any medical shop at a very low price. Since it’s a thick formula, you must mix it with some coconut oil and olive oil. You must heat the mixture before applying on your scalp so that the oil deeply seeps in. after multiple applications, you will see lesser flakes and better hair quality. The anti-fungal hair oil shall imitate the primary cause of dandruff and give you a healthier scalp altogether. You don’t need to mix rosemary oil with any other oil as it no dilution is needed. The anti-inflammatory properties will give a better blood circulation level and eternal results. Neem oil is one of the best anti-fungal oil that you can ever get for your hair. 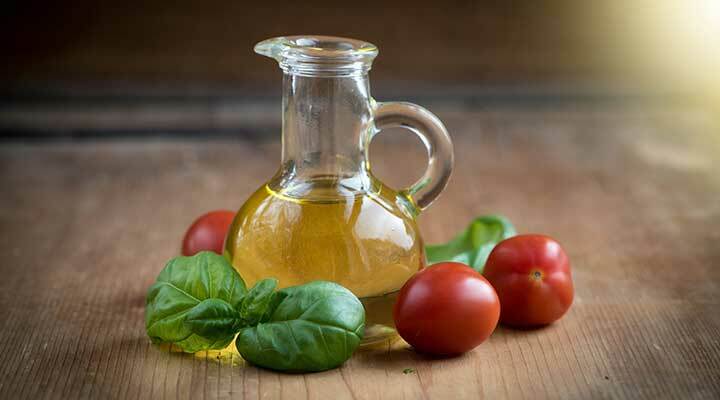 You can apply the mixture of neem and basil oil together for superfluous results. The itchiness, lies and hair loss issues will no longer trouble you once you commence with its regular usage. Sesame oil is an excellent hair tonic that I have personally seen in my home since birth. It is used since ages by people. Sesame oil can also be taken as Ayurveda oil that can be used as a medication. The non-sticky hair oil will beat the dryness, dandruff and hair growth problems. It is amongst the best Natural raw oils for dandruff and hair fall that can give you thicker and shinier hair. Sesame oil results best when mixed with some almond oil and jojoba oil. Patchouli ESSENTIAL OIL is one of the most scarcely available oil. It is one of those Natural raw oils for dandruff and hair fall that works exceptionally well. it can be bought online. You can dilute the hair oil by mixing it with any of natural hair oil you want. The anti-inflammatory properties have a positive effect on your hair. You can keep the old overnight and wash it in the morning. Repeat the process at least 15 times for receiving visible results. The anti-fungal attributes of thyme oil saves your scalp against the fungal attacks and infections. Amongst all Natural raw oils for dandruff and hair fall, thyme works best in triggering blood circulation and keeping hair shiner. Once you begin with the application of thyme oil, you will definitely buy another bottle of it as it relaxes the mind on massaging the scalp with it. You can dilute the oil with some almond and coconut oil. However, if you are reluctant to do so, the oil can be used undiluted as well. Chamomile Oil reduces redness and encounters dead cell of your scalp. It has a different way of curing dandruff by regulating the sebum. The dry and flakiness of the scalp will no longer trouble you if you have Chamomile oil at your disposal. Chamomile keeps the hair scalp hydrated and happy! So, these are few Natural raw oils for dandruff and hair fall that can be chosen by you for treating the deadliest hair troubles. You must ensure that any of the oil that has been selected by you is applied on regular basis for best results. Also, use natural shampoo and concentrate on your diet for a better outcome. Great post and useful at the same time. I will use some of them for sure!